Panzer Grenadier est une série de jeux simulant les combats tactiques de la seconde guerre mondiale. Sitting astride the highway to Rome, the historic abbey of Monte Cassino — founded in 524 AD by St. Benedict himself — dominated the surrounding landscape from its strategic hilltop. German paratroopers did not initially occupy the venerable site, but after American bombers destroyed the buildings they turned the rubble into a nearly impregnable fortress. Between January and May 1944, American, Polish, Indian, New Zealand and British troops launched four major attacks on the position, and many minor ones. Three times the Germans drove them back, until finally on 18 May 1944 a troop of Polish Lancers raised their red-and-white pennant over the ruins. Over 50,000 Allied soldiers and more than 20,000 Germans fell in the struggle for Monte Cassino. The battles took place in the flat, muddy plains of Liri Valley and the steep mountain slopes of Monte Cassino, often in unpredictable winter weather. The Rapido River running around the base of Monte Cassino was only about 16 meters wide, but was up to 4 meters deep and flowed very fast, presenting a major obstacle. 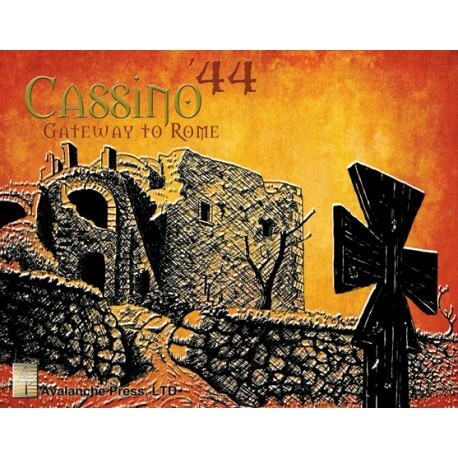 Cassino '44 is a complete boxed game in the Panzer Grenadier series by David Murray, covering all four of the battles. From the initial American assaults through the final Polish conquest, every stage of the battle is depicted in scenario form with two lengthy campaign games covering the entire affair. 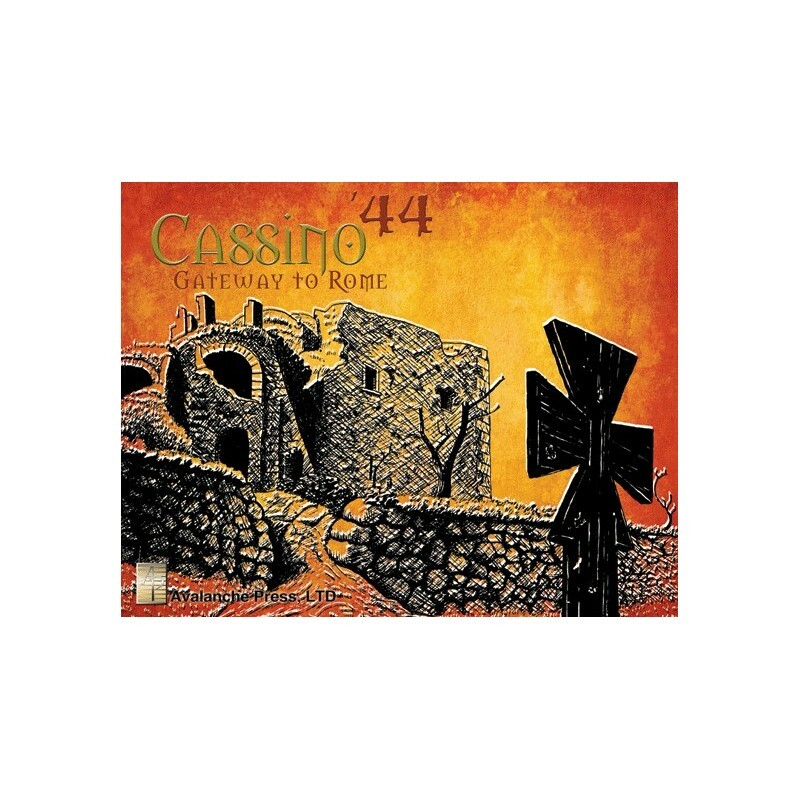 The map is an original work, also by designer David Murray, and accurately models the terrain of Cassino and the surrounding area. Dave worked from satellite and topographical maps to craft a game map that's extraordinarily accurate as well as attractive. Terrain has been adjusted to fit the grid of hexagons, but all the named locations from battle reports are present and the map sets a new standard for the Panzer Grenadier series. Forces involved include the tough American 36th "Texas" Division, the 4th and 8th Indian Divisions including Gurkha battalions, the 2nd New Zealand Division with its brigade of Sherman tanks and elite Maori Battalion, and the hard-fighting exiles of the Polish II Corps. A trained bear named Wojtek lugged artillery shells to the Polish guns — even the animal kingdom fought the Nazis. On the German side, the 1st Parachute Division was probably the best formation the Axis put into the field in World War II, and it's assisted by the 15th Panzer Grenadier Division and other formations.